Constructed 1853. Italianate Style Mansion on South Battery. 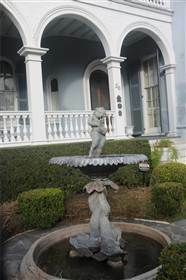 Images of fountain in front garden. Click here for additional info.